Eight-team international competition featuring the best hockey players in the world set for September 2016 in Toronto. New York/Toronto (January 24, 2015) – The World Cup of Hockey will return in September 2016 in Toronto, Canada when eight teams, comprised of the world’s best hockey players, compete for a best-on-best international hockey championship, the National Hockey League (NHL®) and National Hockey League Players’ Association (NHLPA) announced today. The World Cup of Hockey is a joint effort of the NHLPA and the NHL, in cooperation with the International Ice Hockey Federation (IIHF). It is expected that more than 150 of the best players in the NHL will participate in this tournament in what should be the biggest celebration of the game. The eight teams will be divided into two Groups of four, and each will compete in three tournament games within their assigned Group in a round-robin format. The top two finishers in each Group will advance to a single game semi-final against a team from the other Group. Winners of the semi-final games will advance to a best-of-three final round. All tournament games (round-robin, semi-final and final) will be played at the Air Canada Centre in Toronto from September 17 - October 1, 2016. The eight teams participating in the 2016 World Cup of Hockey will include Team Canada, Team Czech Republic, Team Finland, Team Russia, Team Sweden, Team USA, Team Europe and Team North American Youngstars. Team Europe will be comprised of a pan-European roster of players from birth countries outside of the Czech Republic, Finland, Russia and Sweden – in short, all of the other European countries who are developing world class hockey players in ever-increasing numbers. Countries such as Slovakia, Switzerland, Germany, Austria, France, Denmark, Norway, Latvia, Belarus, Estonia, Slovenia, Kazakhstan and Lithuania (among others) will all be eligible for representation on Team Europe. The players for Team North American Youngstars will be selected from a pool of the best young hockey players from Canada and the United States. Those players age 23 and under will be available for selection exclusively by Team North American Youngstars. All eight teams will be comprised of 23 players, including 20 skaters and three goalies. Each National Association has the right to select its own team and must announce at least 16 members of its roster, including at least two goalies, no later than March 1, 2016, with the balance of each team’s roster to be announced no later than June 1, 2016. To select the rosters of Team Europe and Team North American Youngstars, the NHL and NHLPA will jointly name each of the management teams. 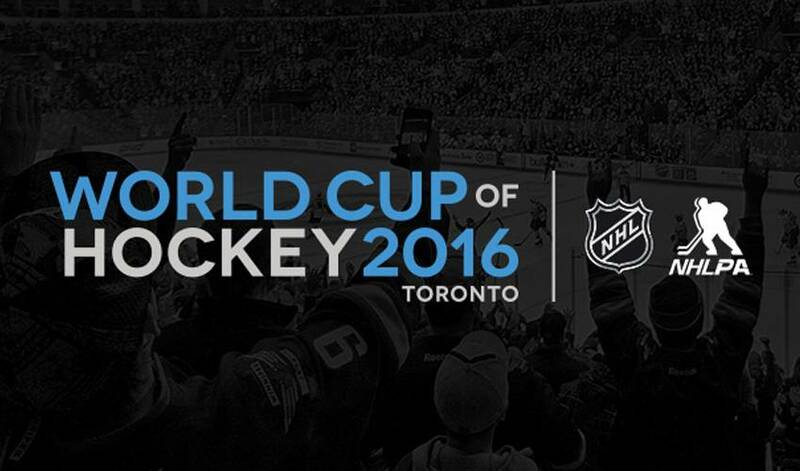 The 2016 World Cup of Hockey is scheduled to be played on NHL-sized rinks using NHL rules and officiated by NHL officials. Other competition matters, such as the anti-doping policy governing the tournament, the framework and procedure for supplementary discipline, the medical protocols, media and broadcasting policies and access, etc., will be the responsibility of the NHL and NHLPA in consultation with third parties, including the IIHF, where appropriate. It is anticipated that the initial portion of training camp for each team participating in the 2016 World Cup of Hockey will begin Sunday, September 4. The training camps will be conducted in the location of each team’s choosing, with each team being permitted to host at least one exhibition game at a site of its choice. During the final days of preparation leading up to the opening of the tournament, the teams will be brought together in a more central North American location for a final pre-tournament exhibition game.